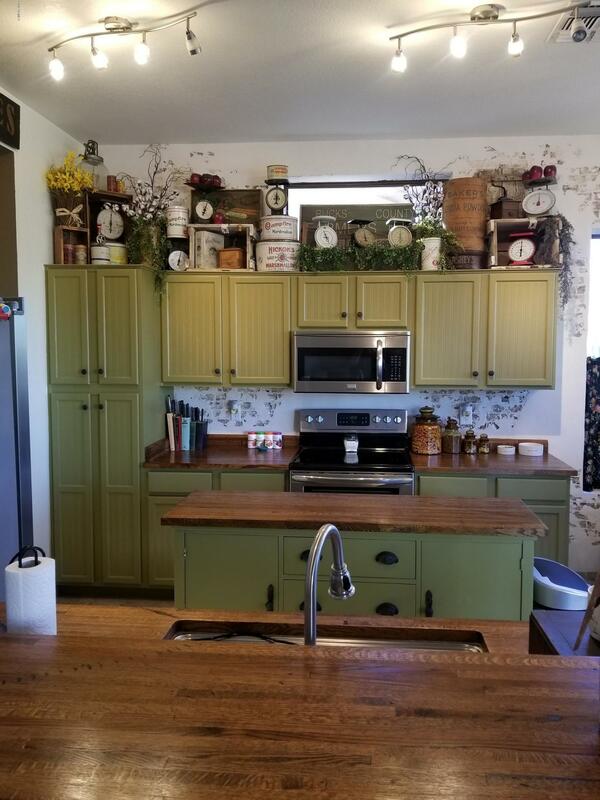 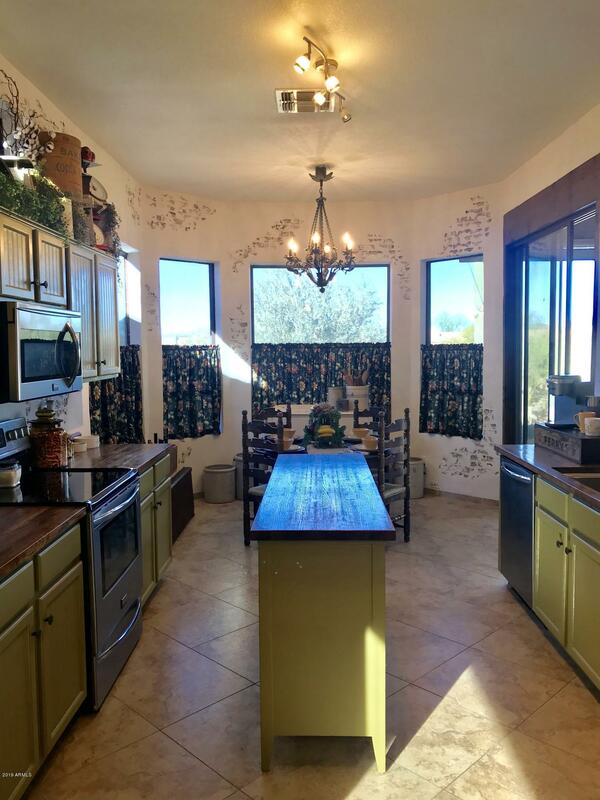 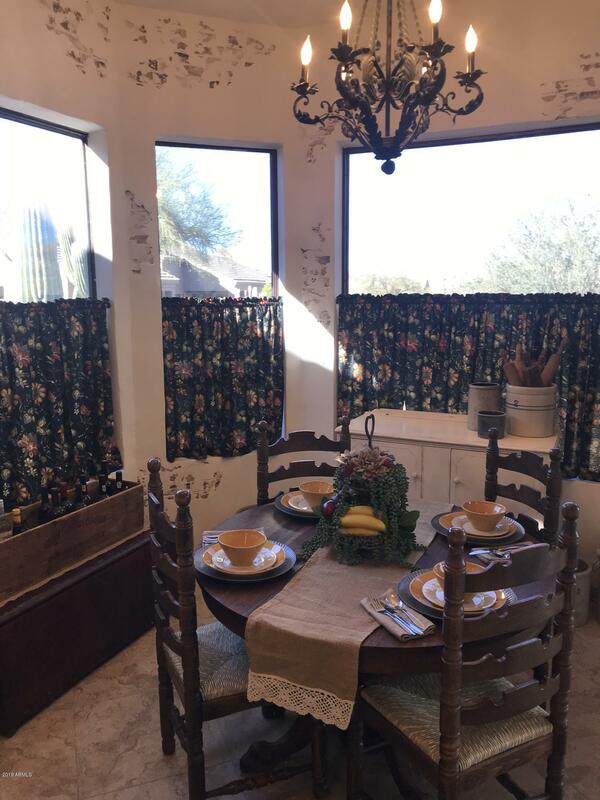 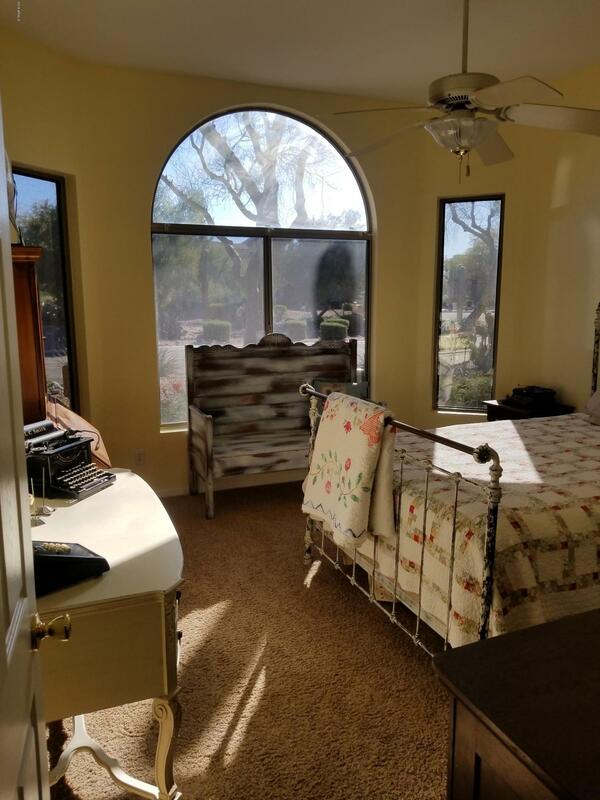 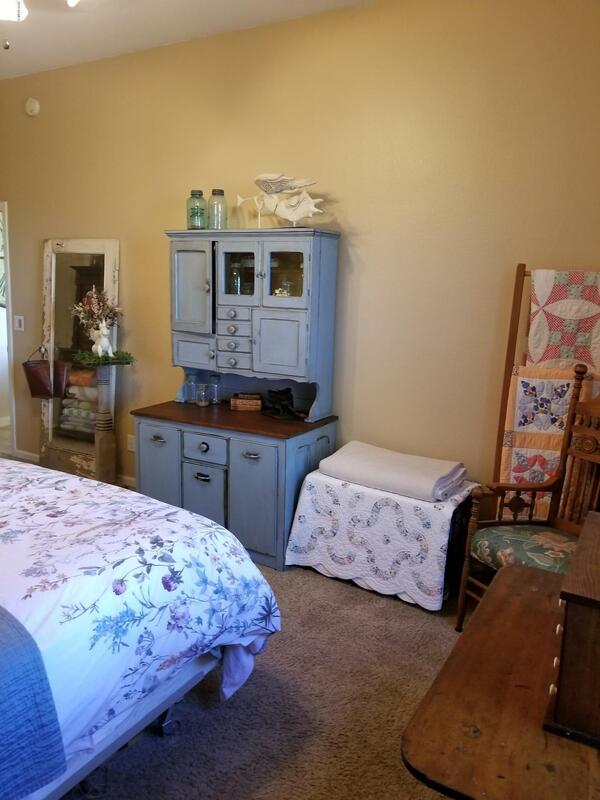 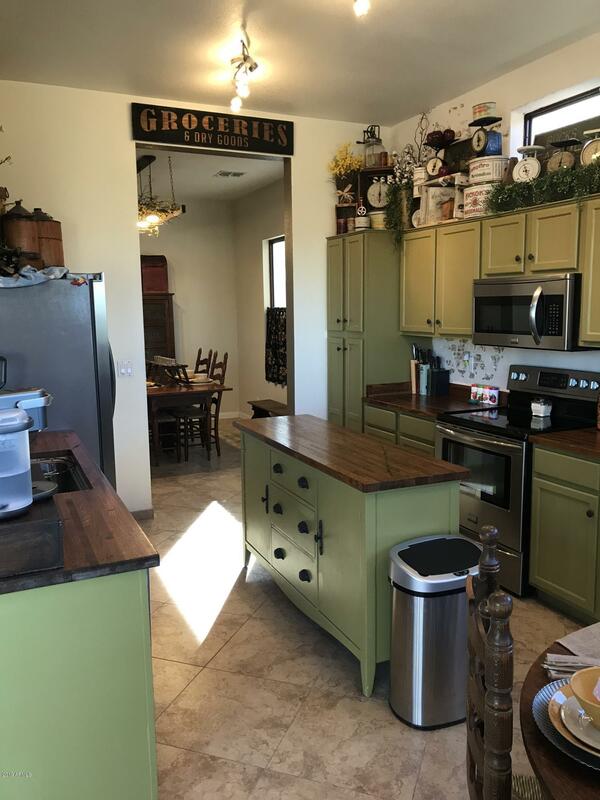 This home has a Farmhouse charm, nestled in the desert setting of Mountainbrook VIllage. 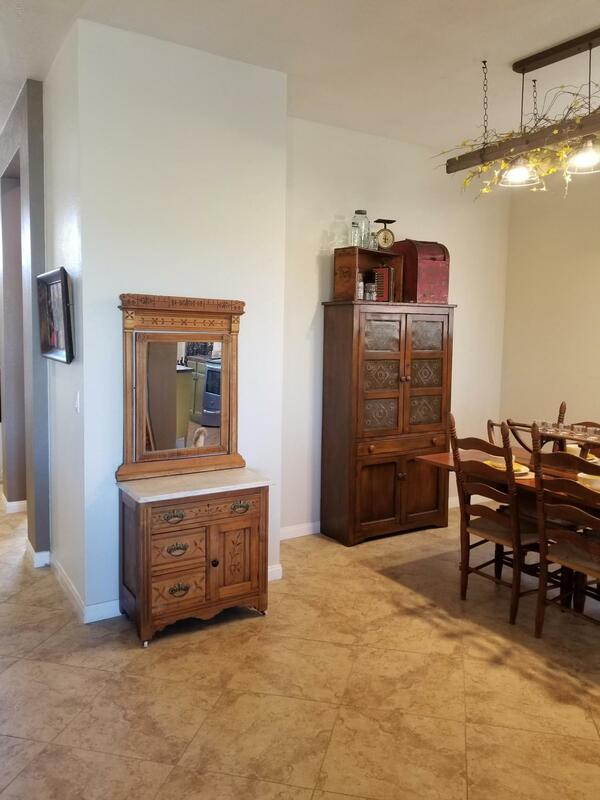 This lovely 1565 sq. 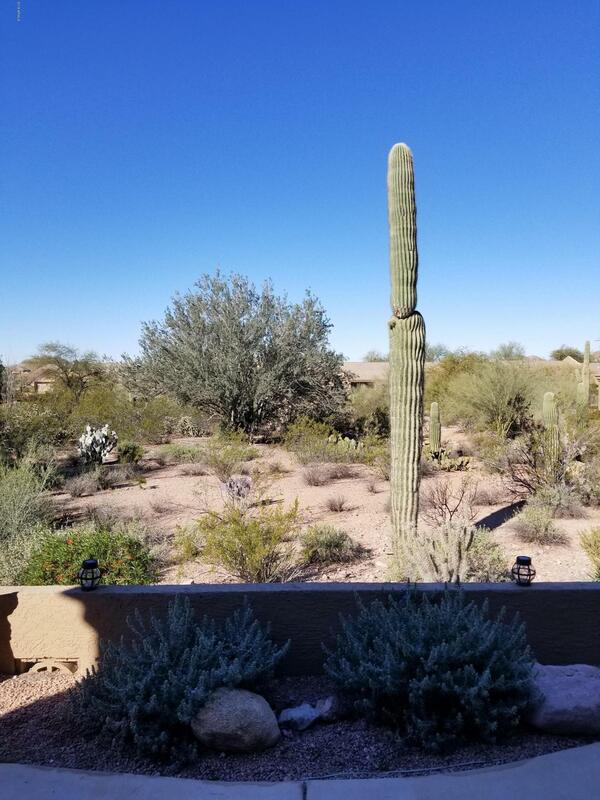 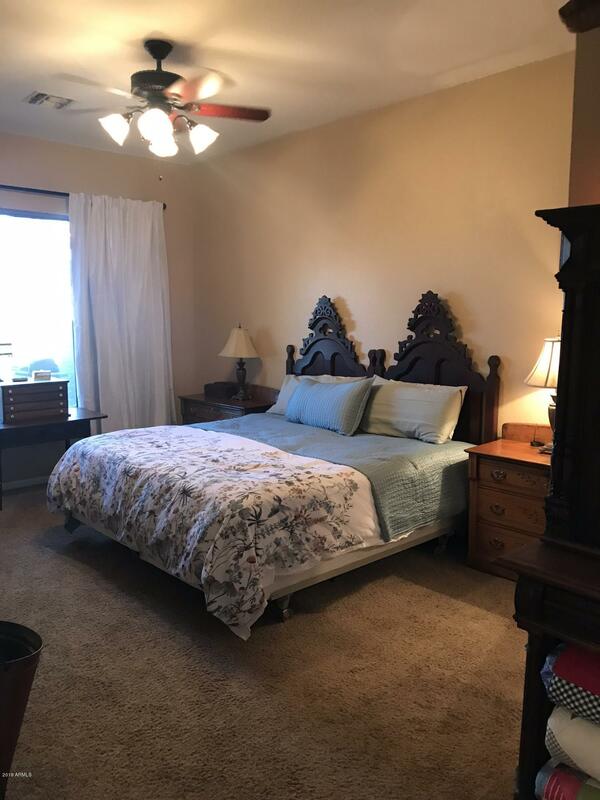 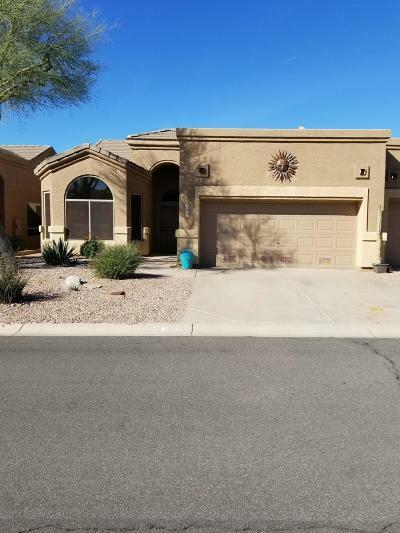 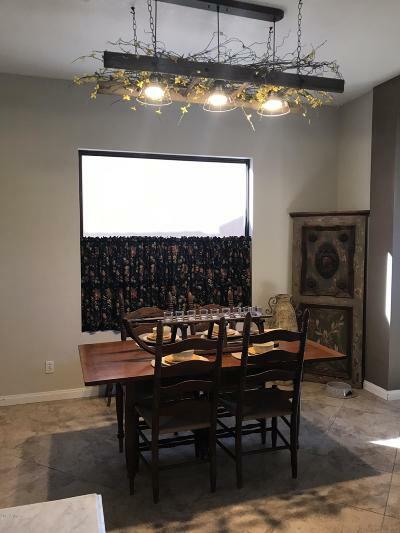 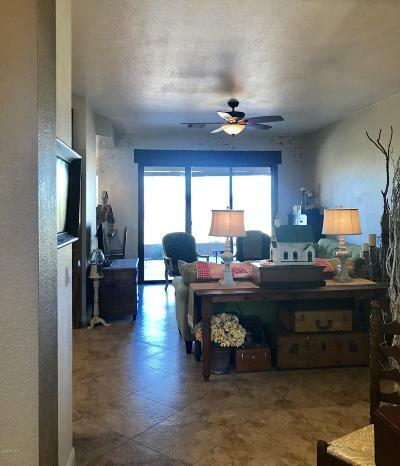 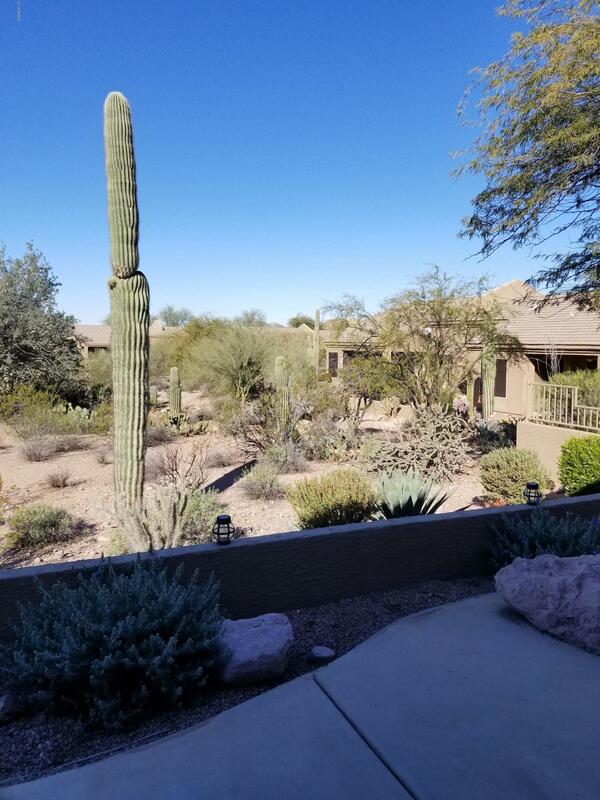 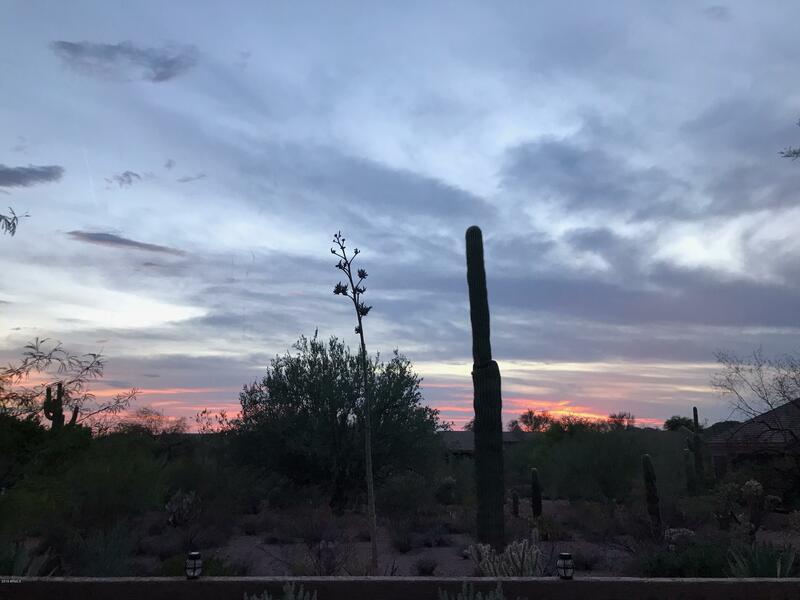 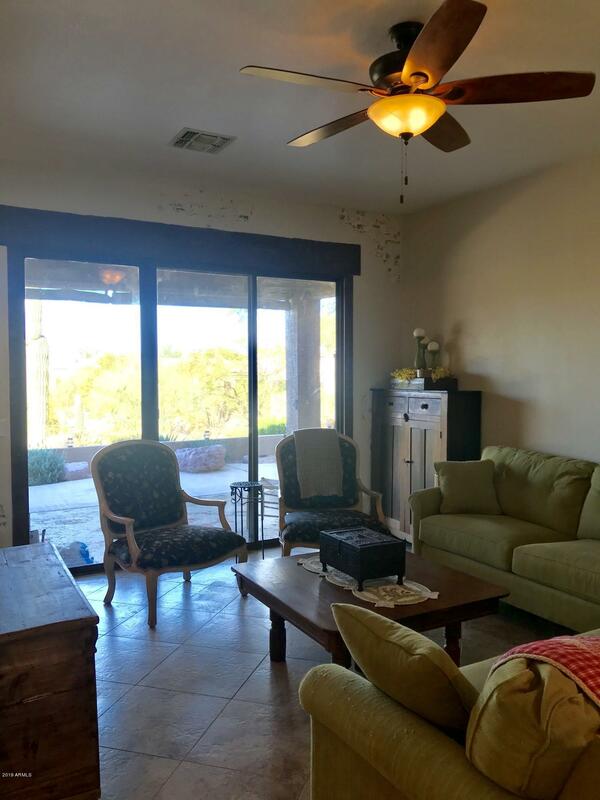 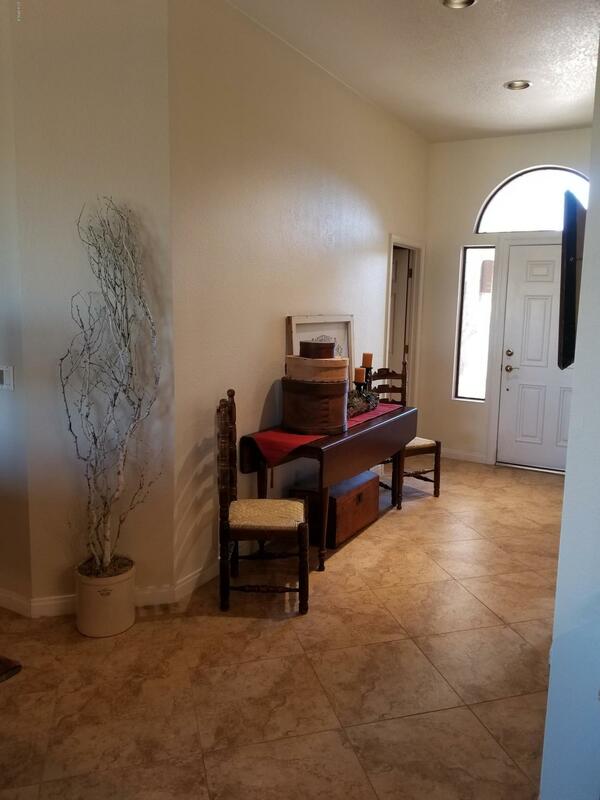 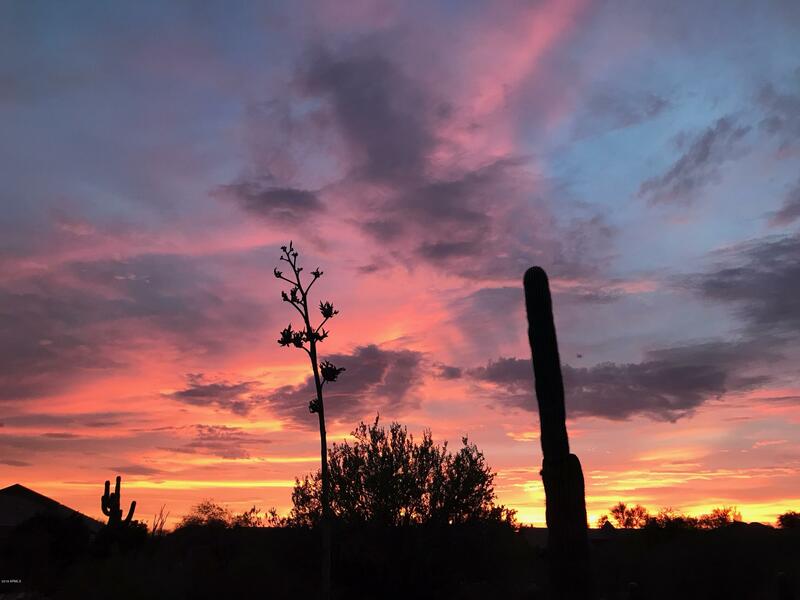 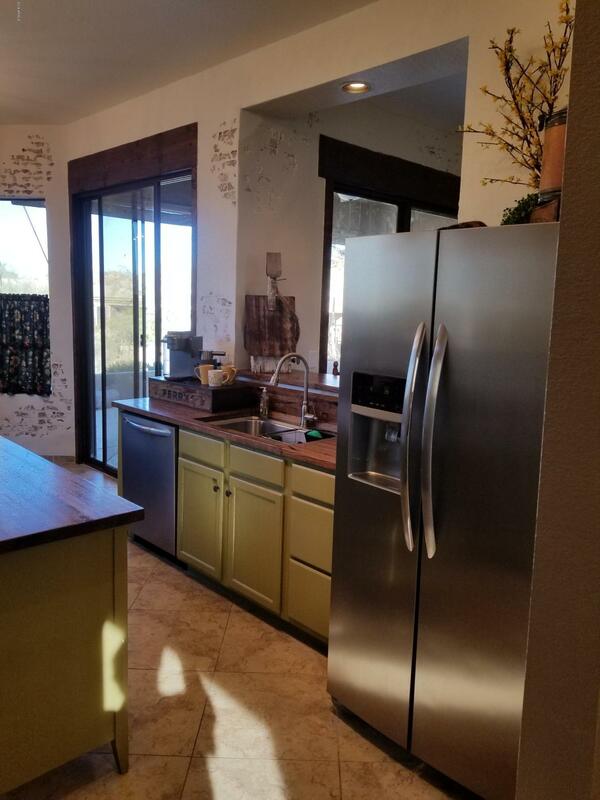 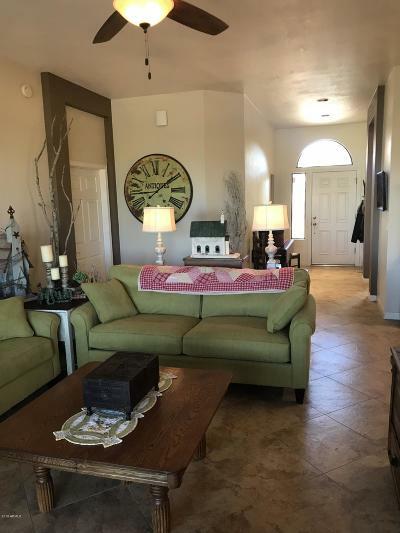 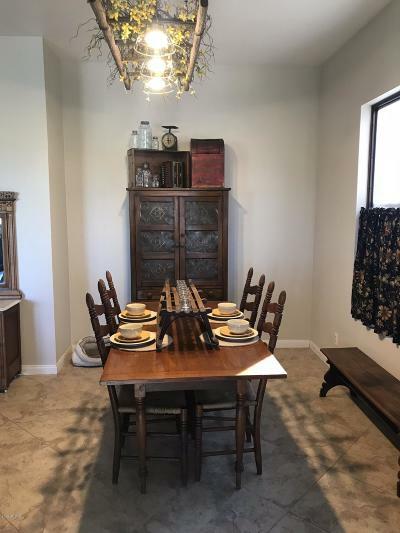 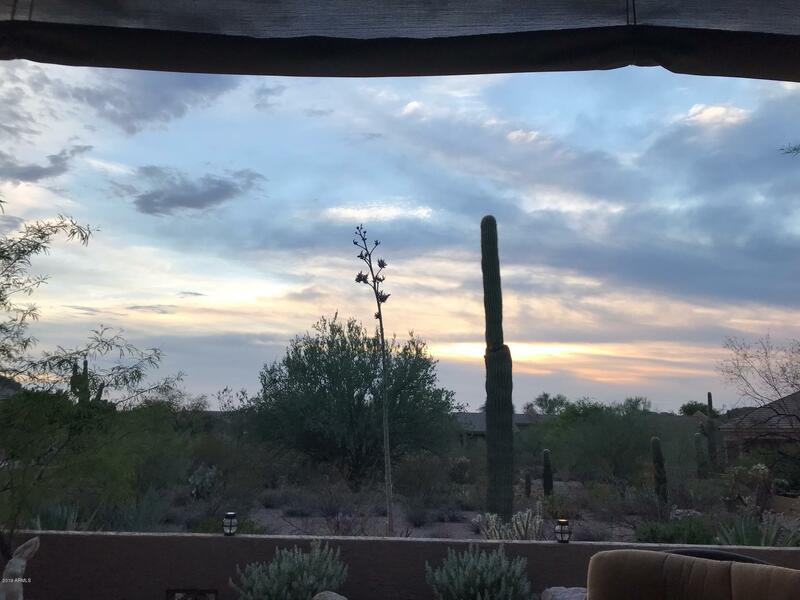 ft. Bayberry Casita is set in quiet location backing to desert preserve, covered patio, sun shades, neutral carpet in bedrooms and 18'' tile t/o remaining living area. 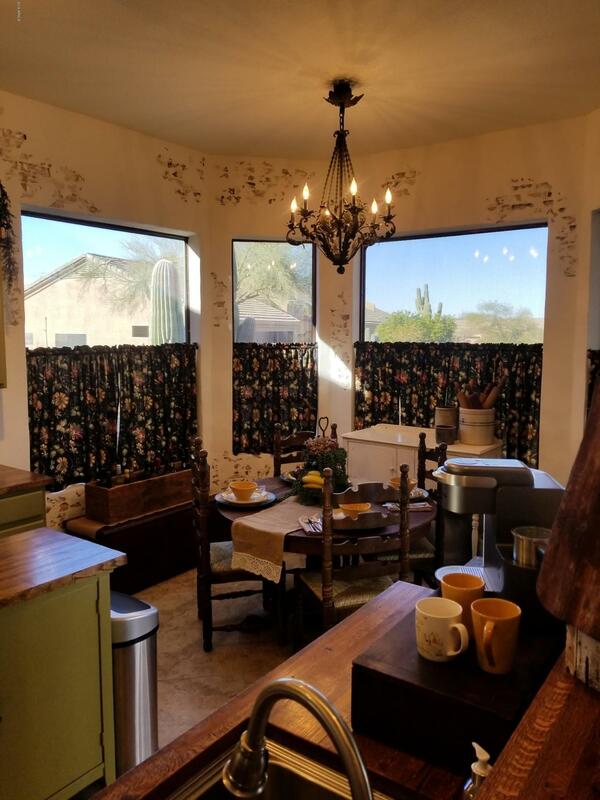 Kitchen boast faux brick walls with heavy plaster, newer wood counter tops, newer appliances, sink and custom antique iron chandelier. 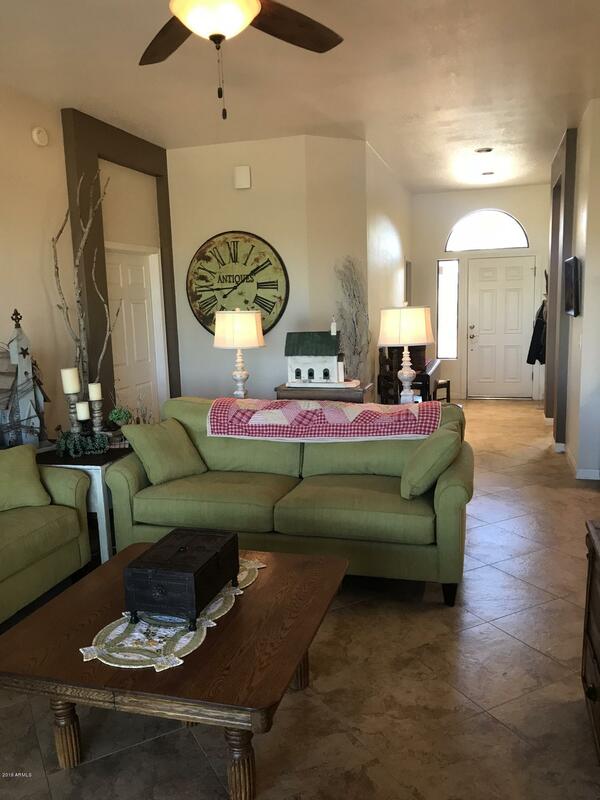 Faux Brick and plaster work is continued on 1 wall in family room. 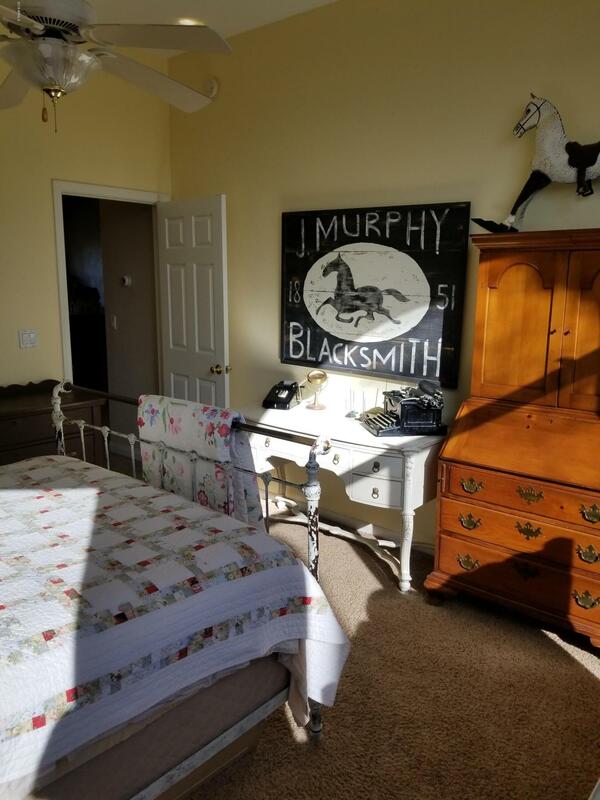 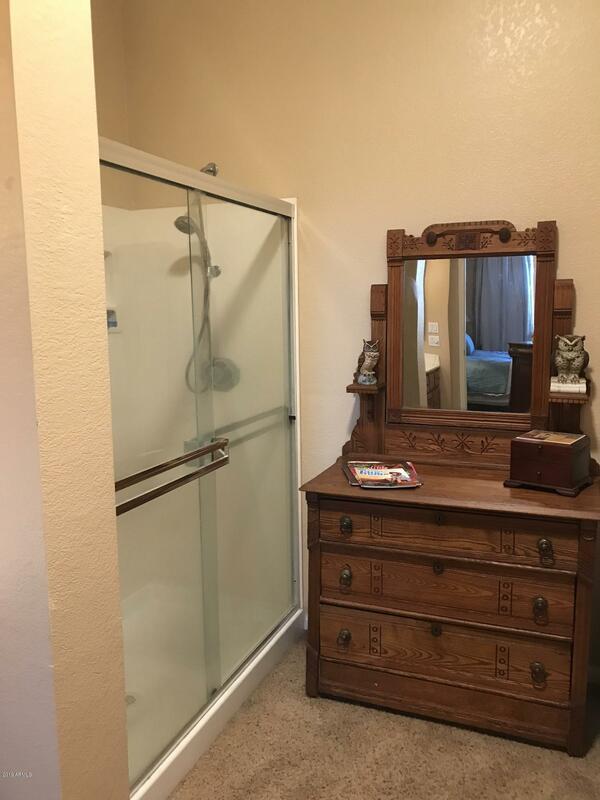 Guest bath has upcycled antique dresser vanity with mirror & farmhouse lighting. 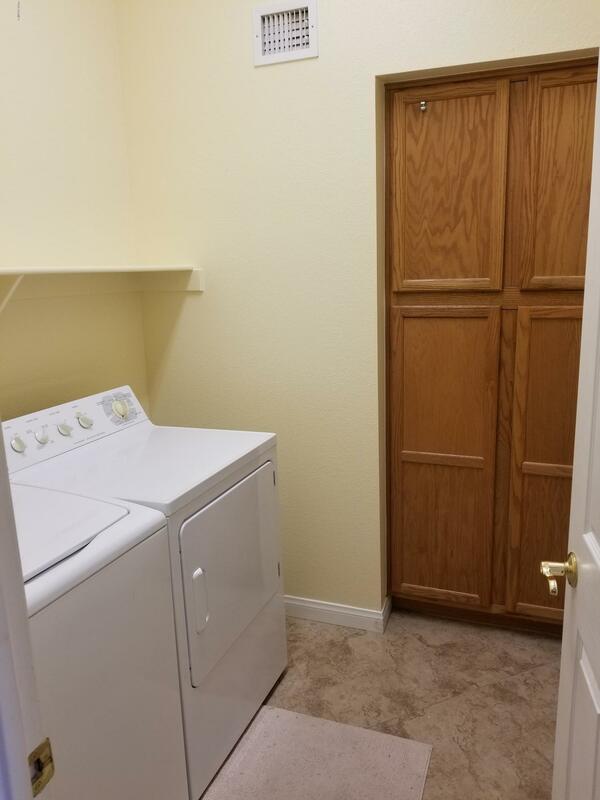 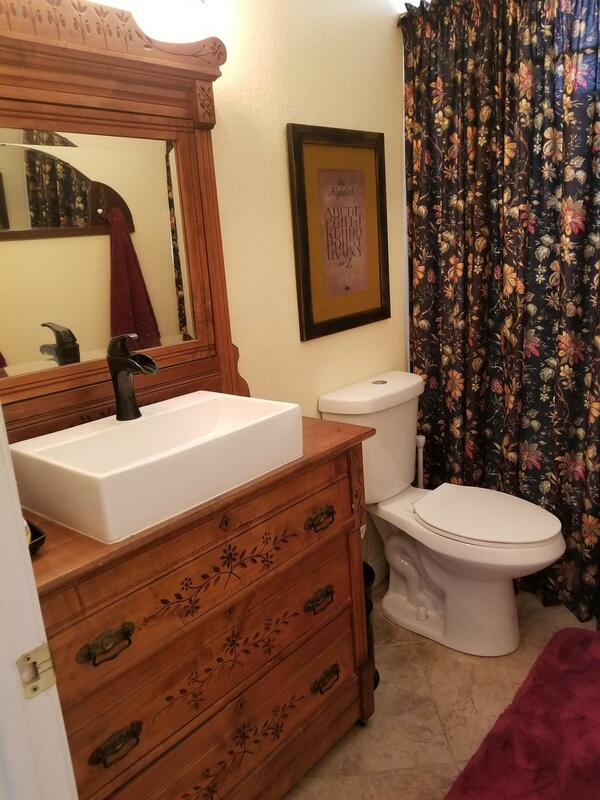 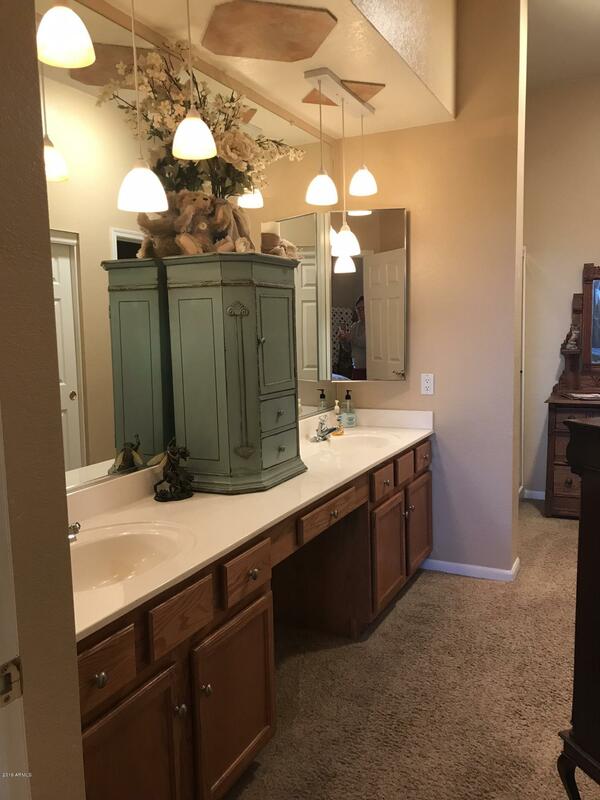 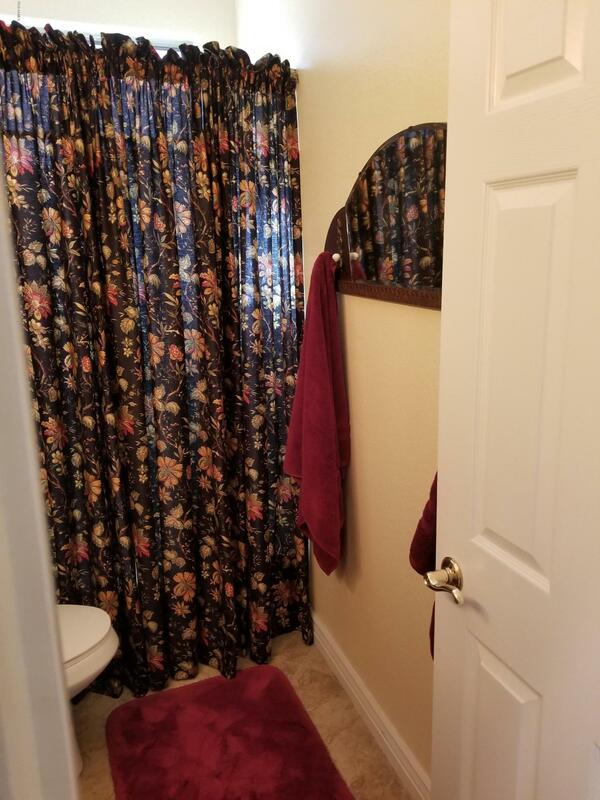 Newer water heater, AC, upgraded lighting & plumbing fixtures! 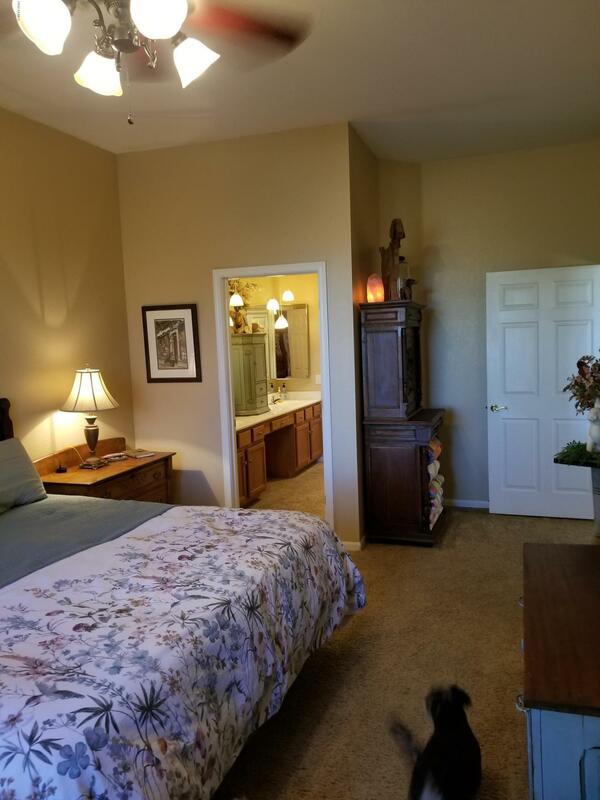 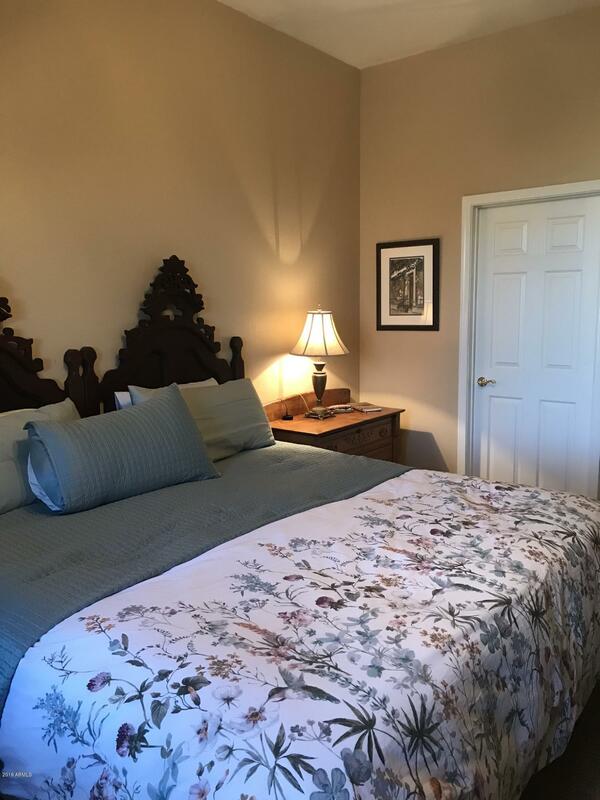 Enjoy 55+ community with a beautiful golf course and an endless list of amenities & activities. 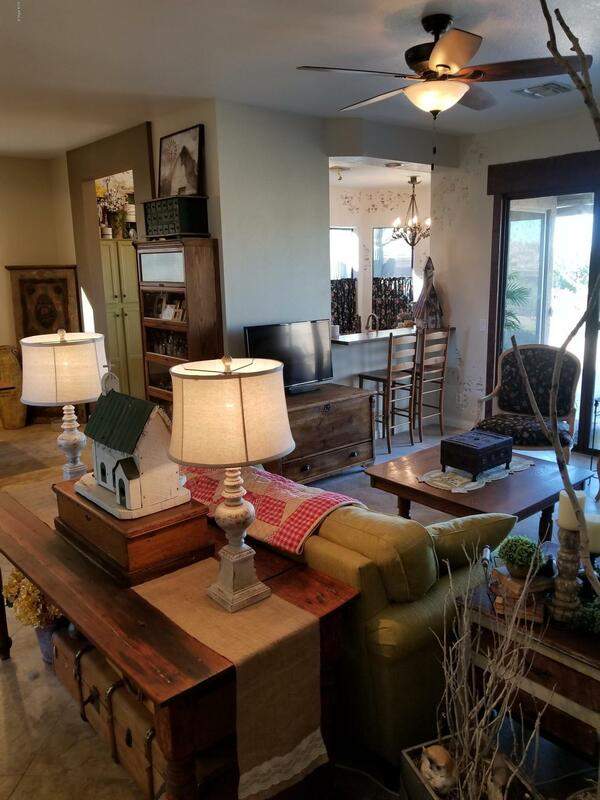 Listing Agent is related to sellers & has a financial interest in property.